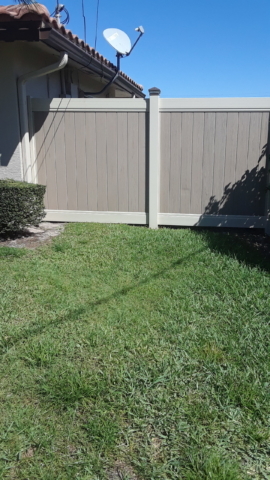 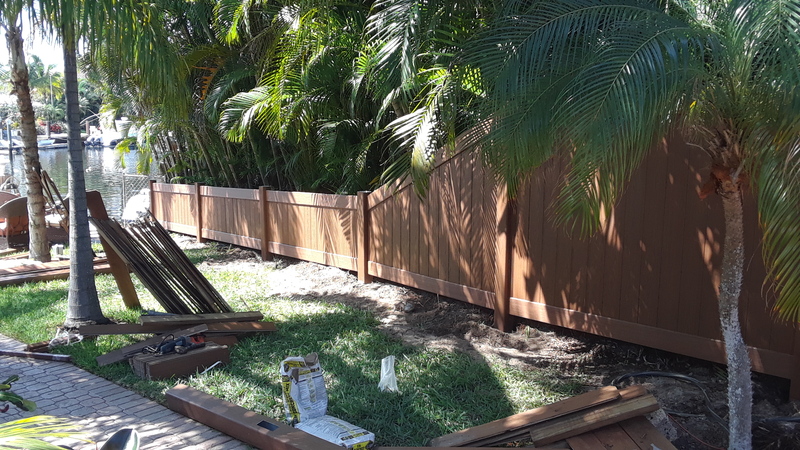 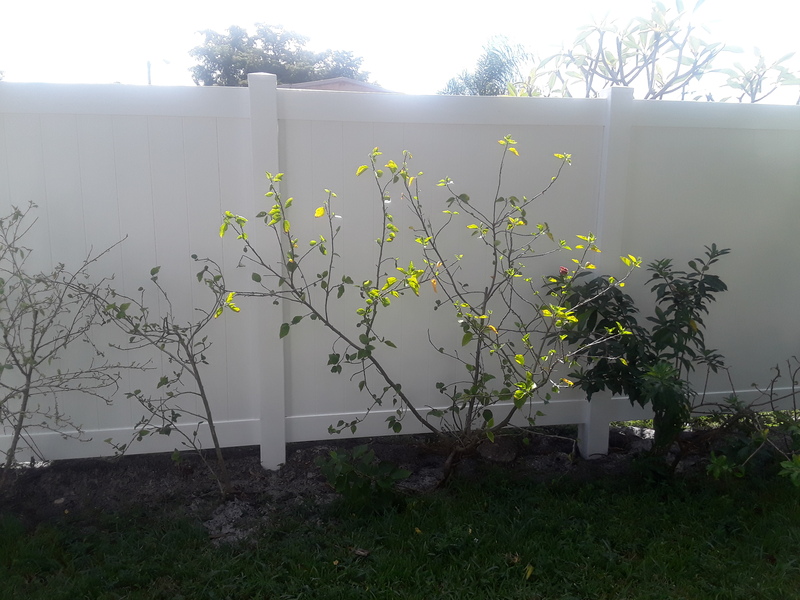 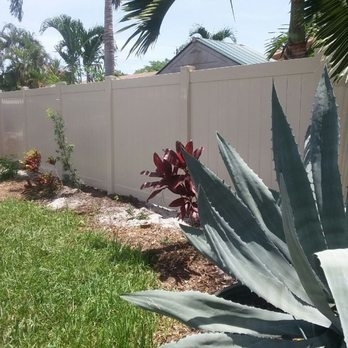 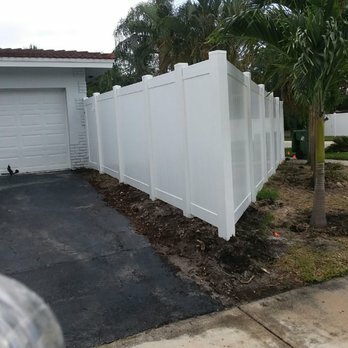 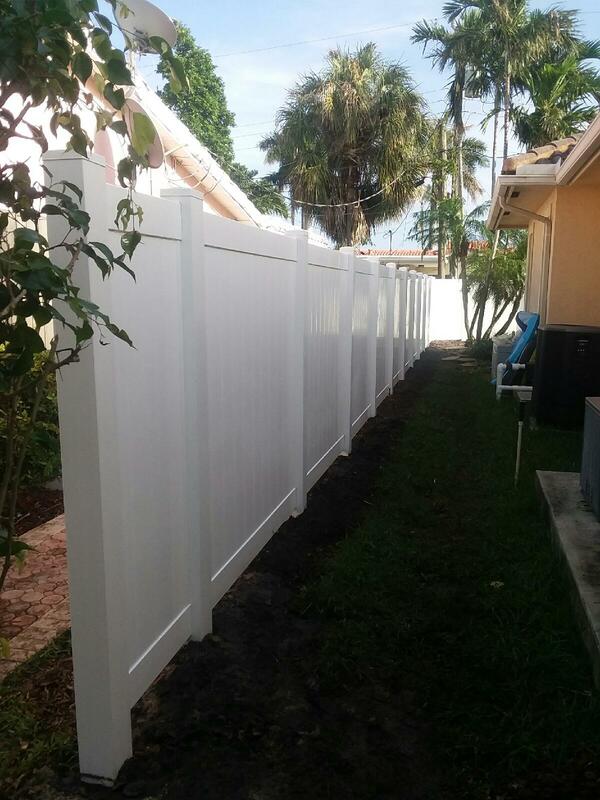 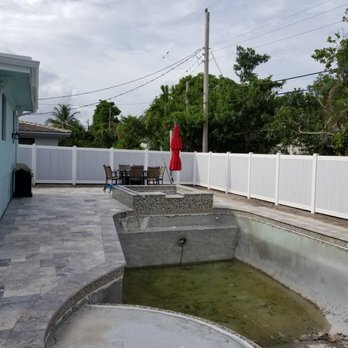 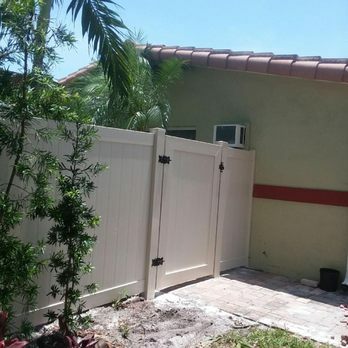 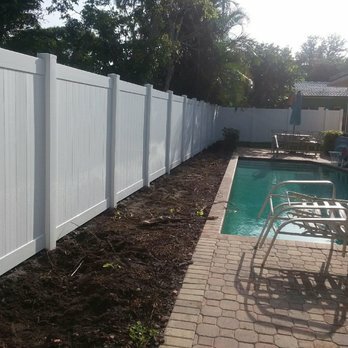 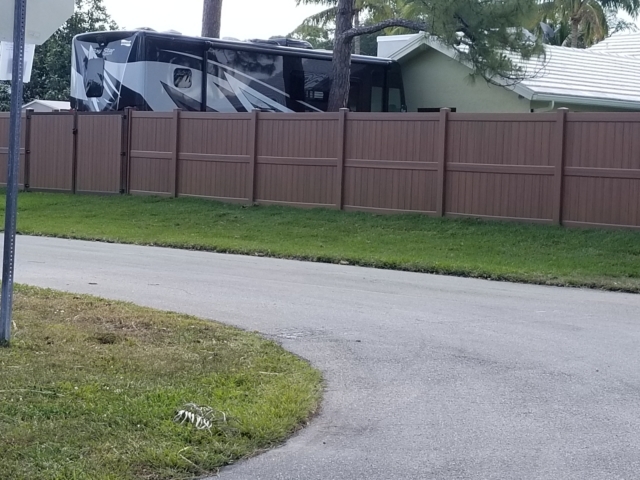 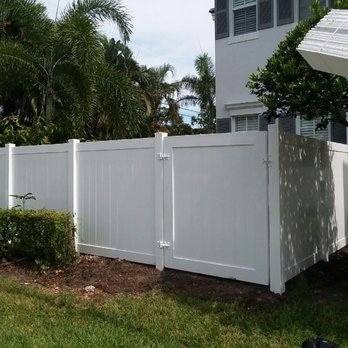 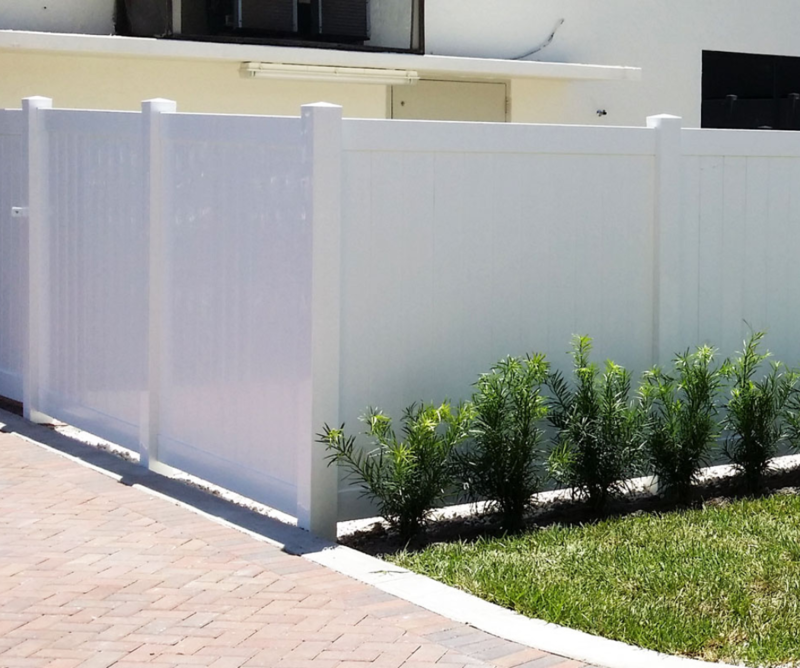 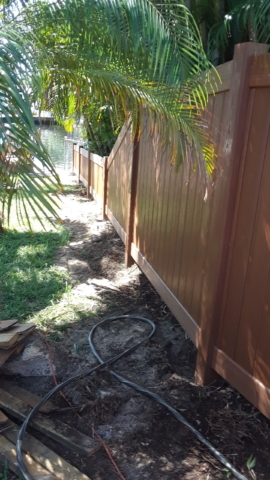 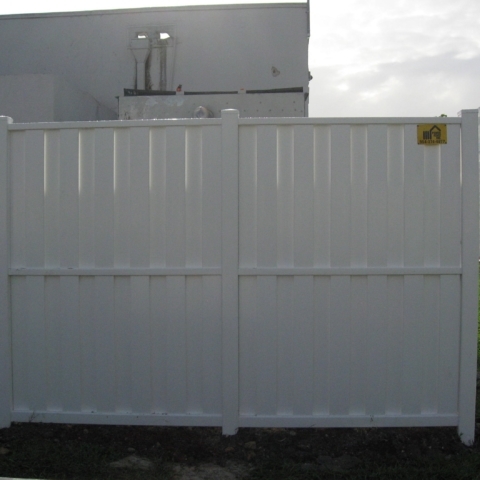 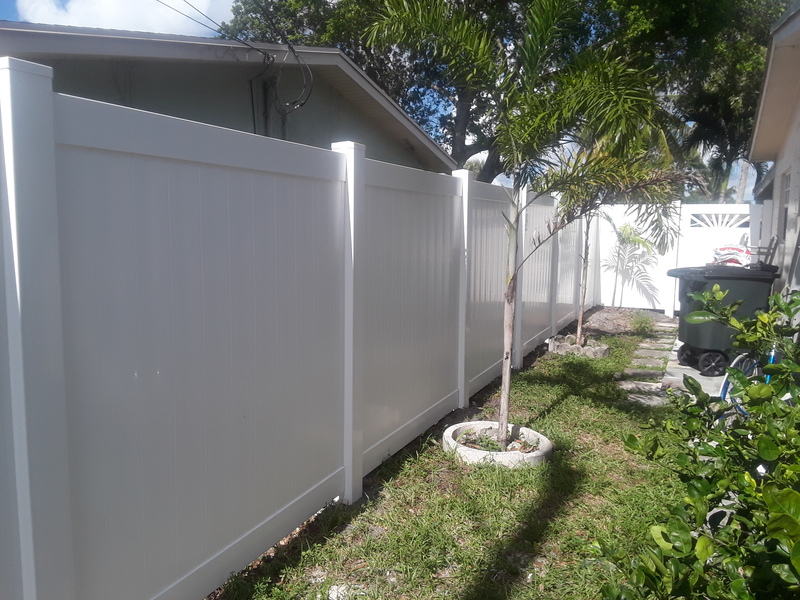 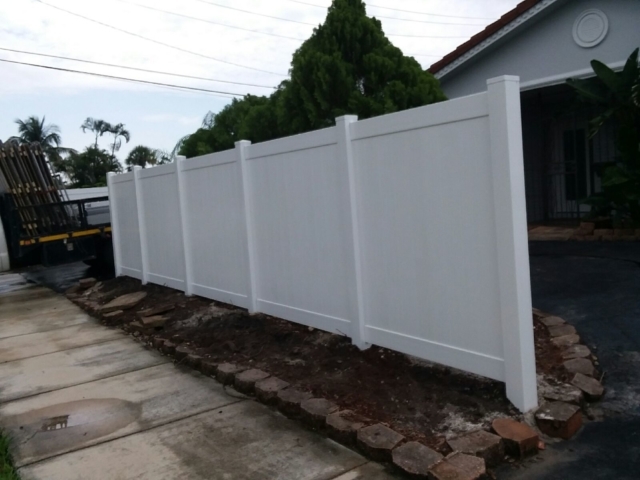 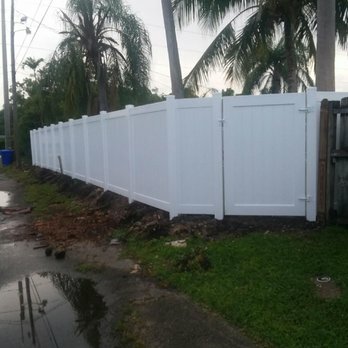 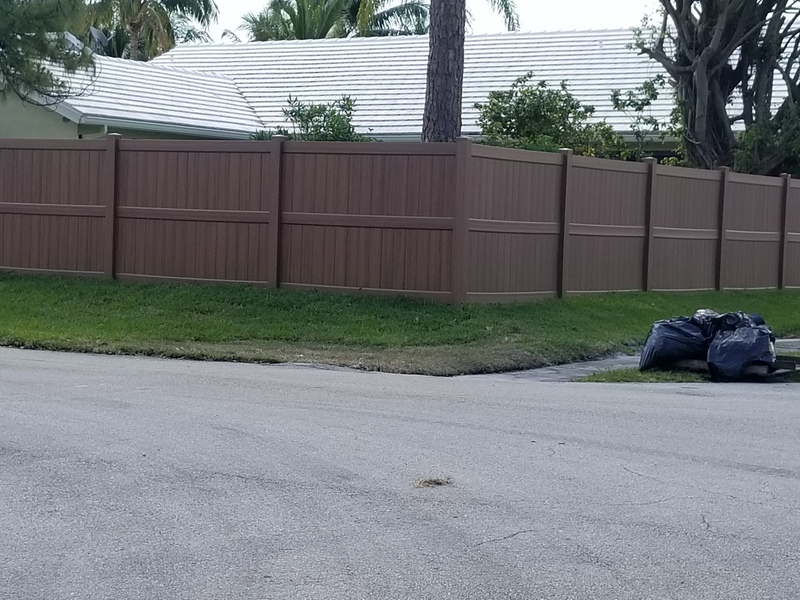 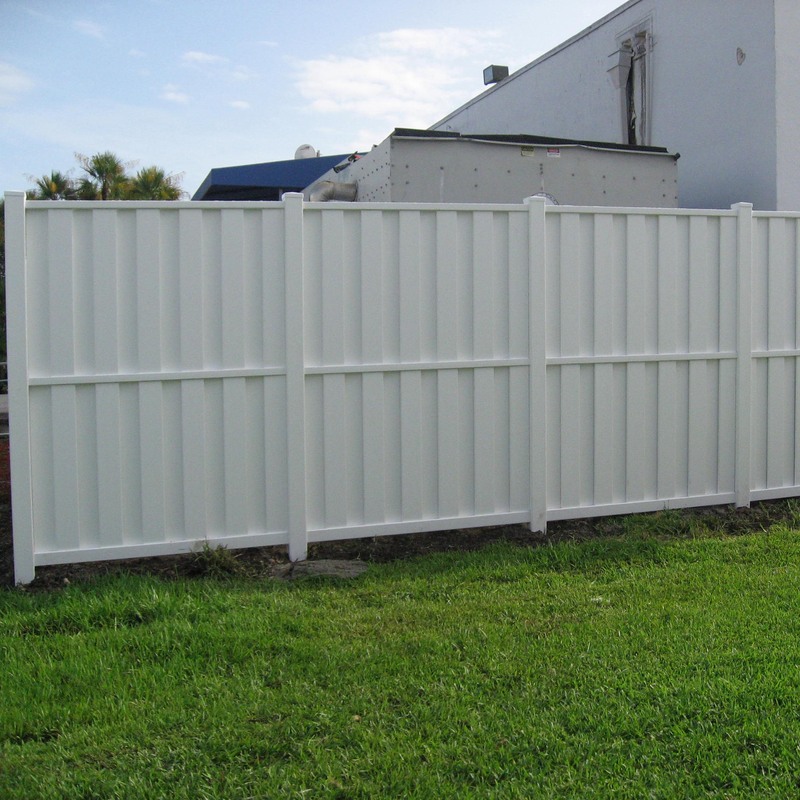 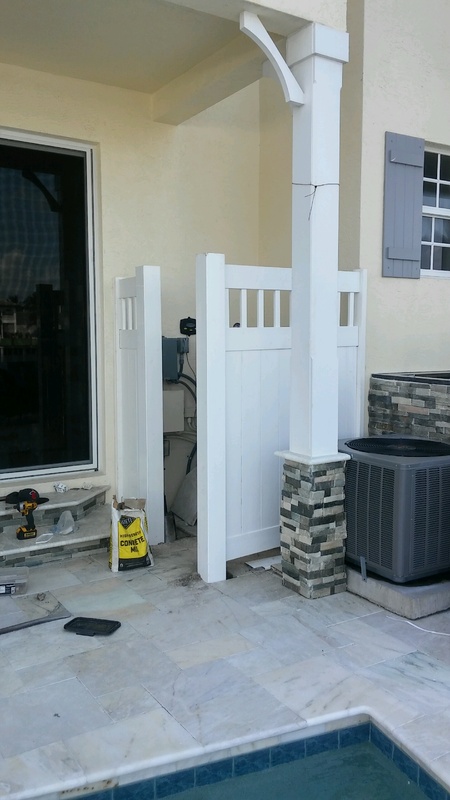 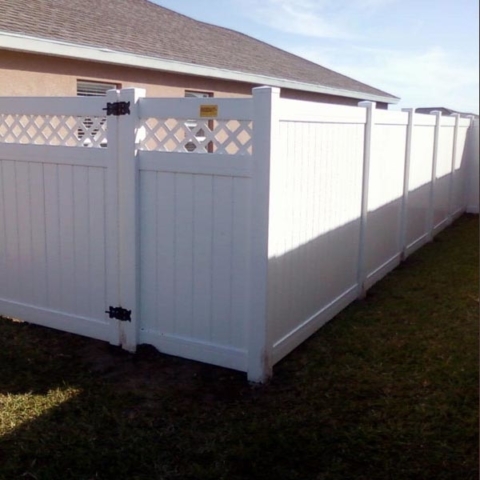 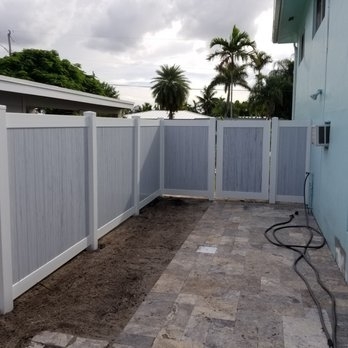 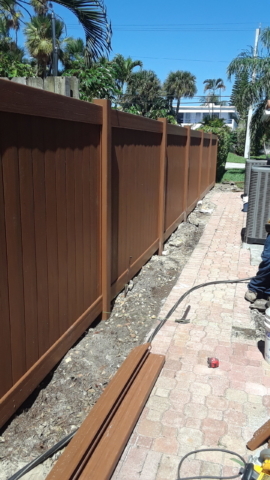 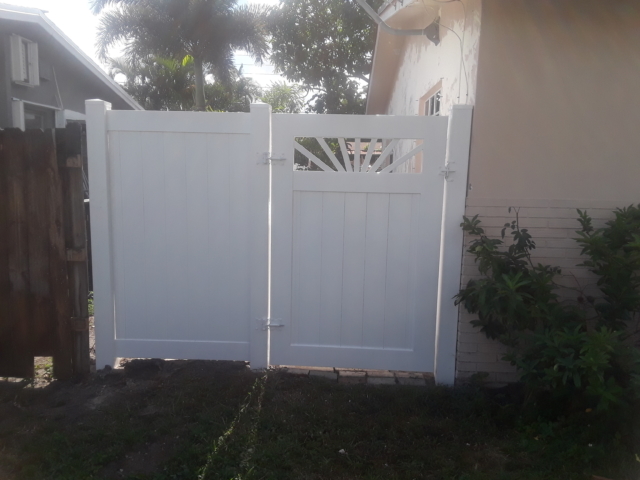 Vinyl privacy fencing lends complete and total security to your yard, and is practically impervious to the harsh South Florida elements. 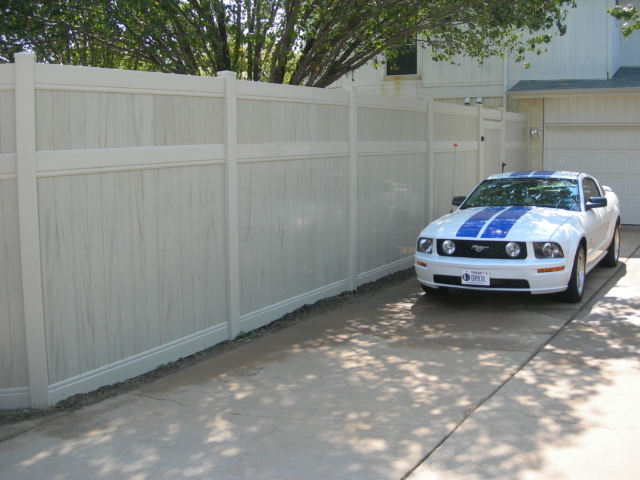 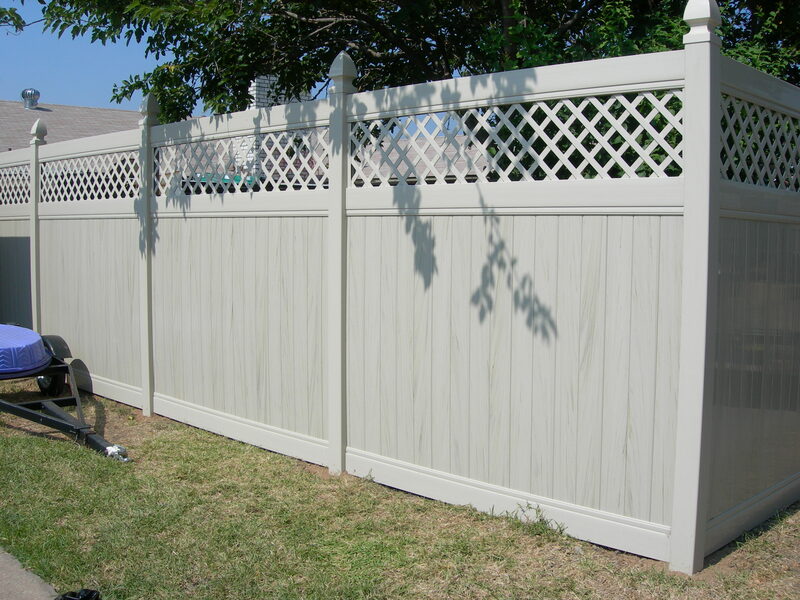 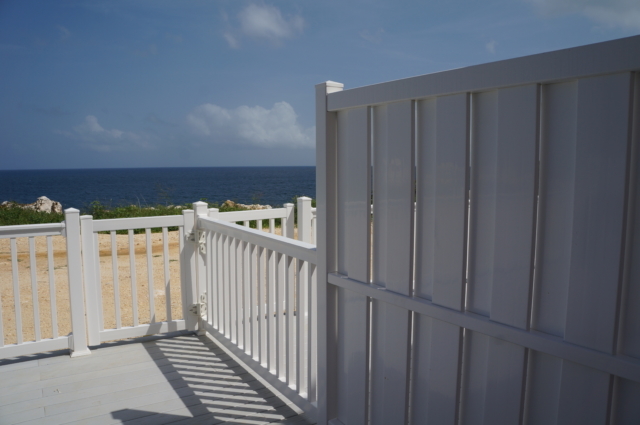 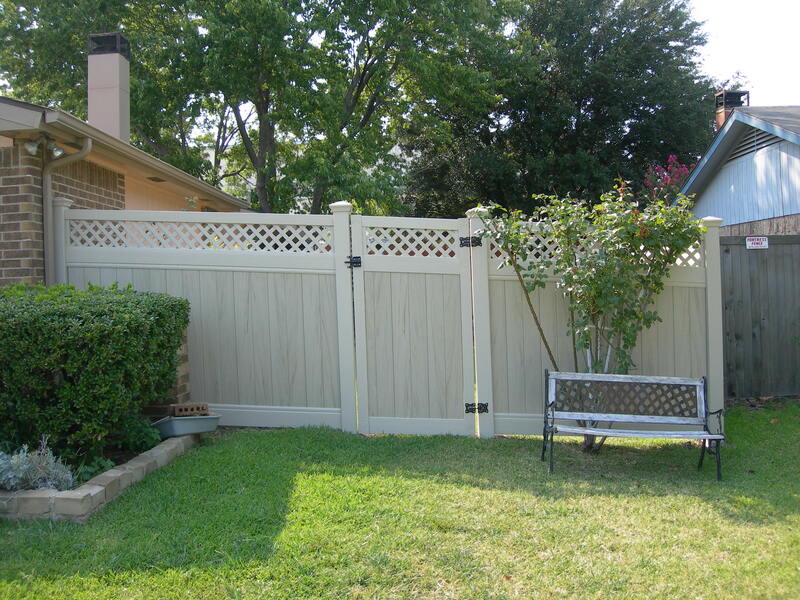 When you need privacy, security and safety choose this style of vinyl fence. 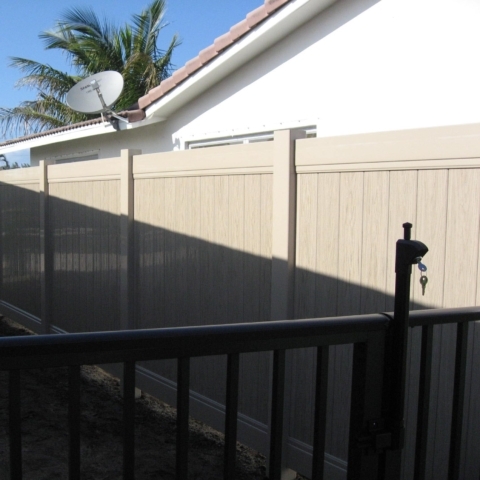 Vinyl Privacy fencing with one foot of lattice at the top, allowing extra wind flow and visibility to the otherwise completely opaque privacy fencing. 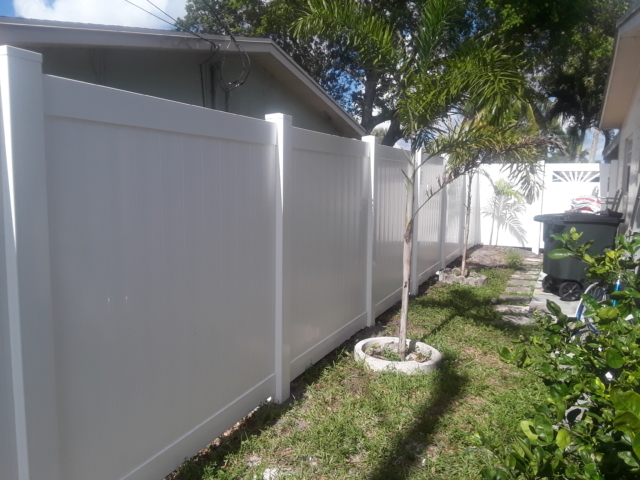 This particular style is required for use in several cities and municipalities in Broward County. 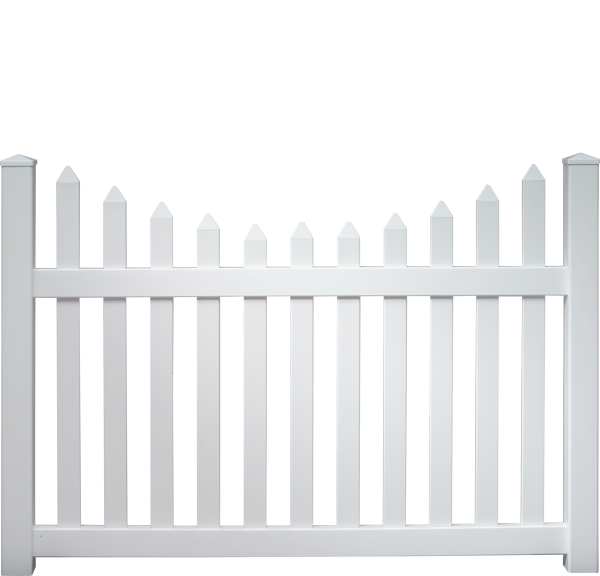 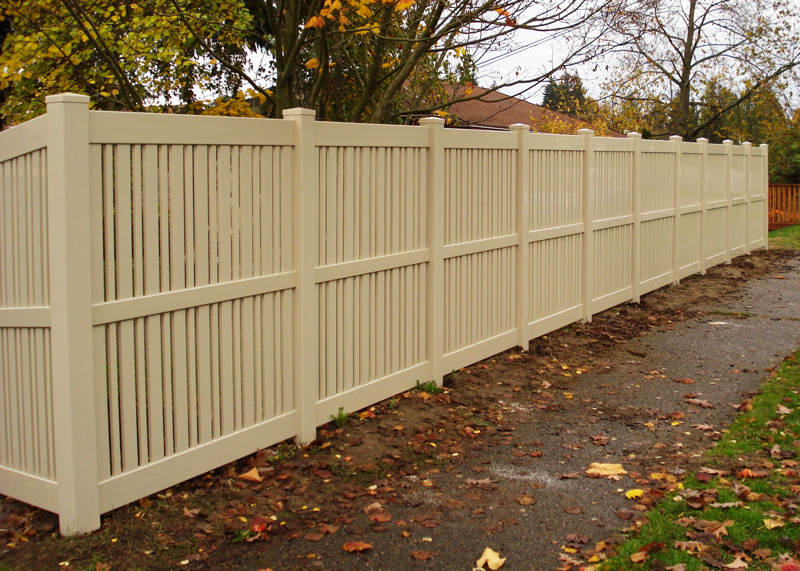 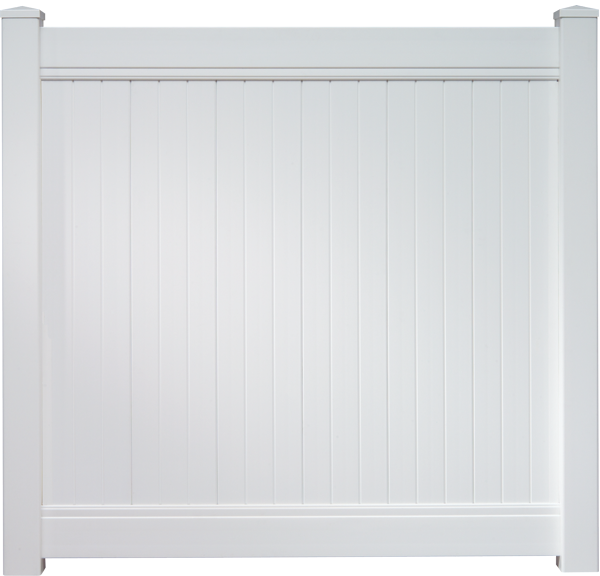 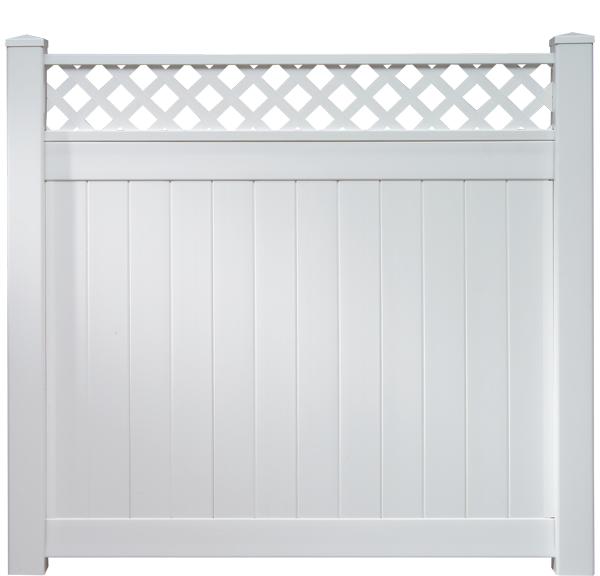 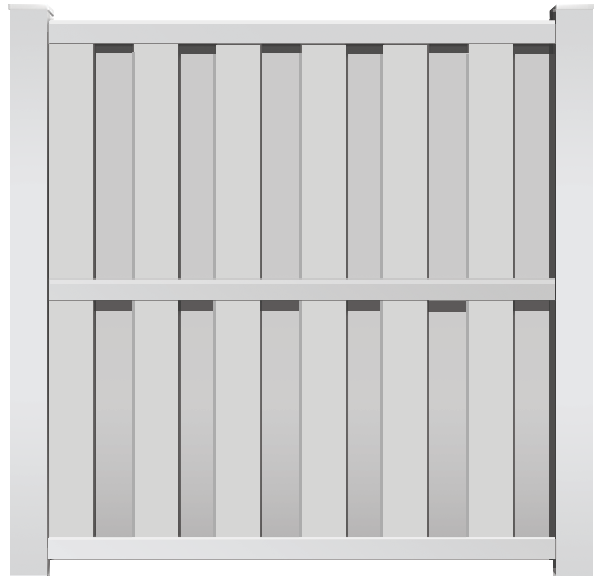 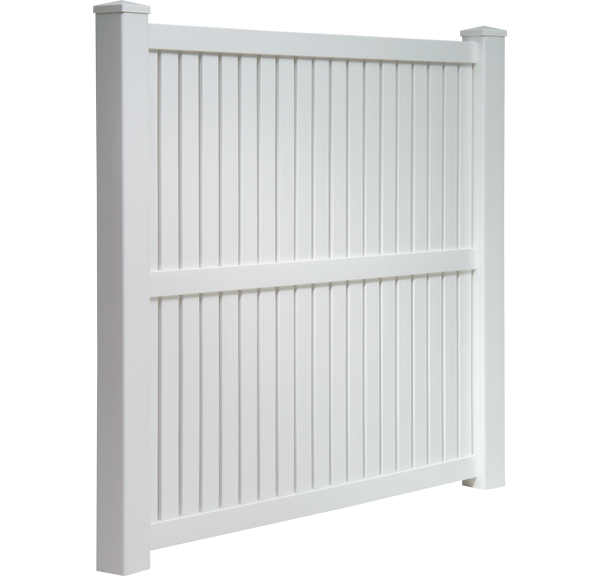 Traditional vinyl picket fencing is a more sturdy and resilient version of regular wood picket fencing. 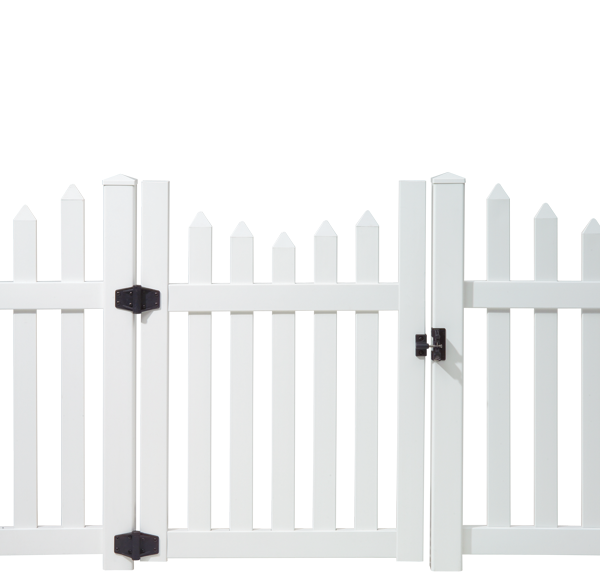 Available in a large variety of height variations, picket choices and picket spacing options. 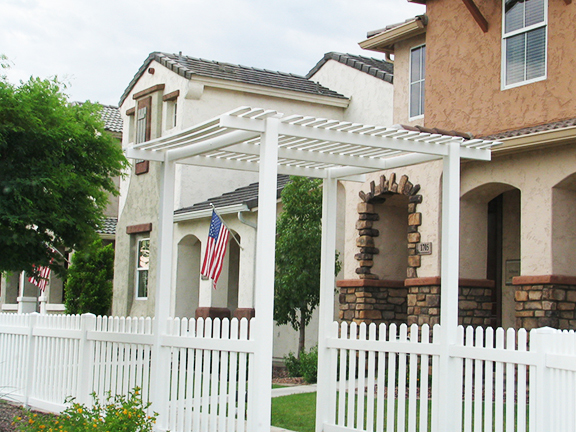 Vinyl shadowbox fencing improves upon it’s traditional wood counterpart in every way. 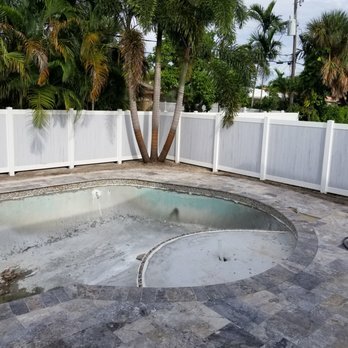 This style allows for privacy when viewed straight on and visibility when viewed at an angle and is approved for use around pools with a raised middle rail. 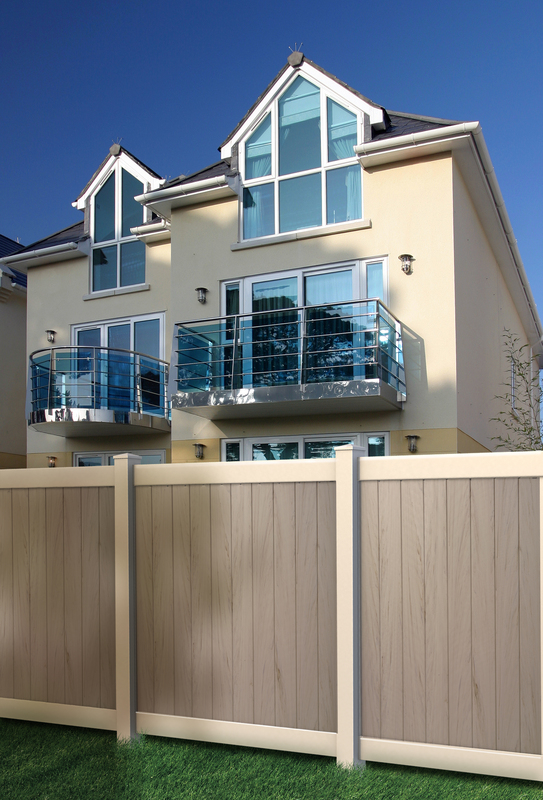 Vinyl semi privacy fencing has small gaps in between the vertical parts of each section allowing a small amount of visibility and wind flow. 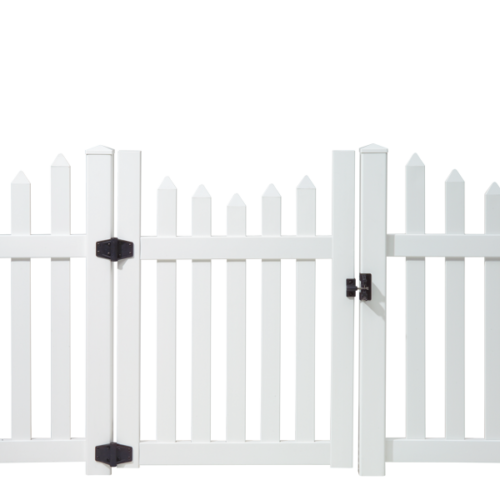 Large amount of picket and spacing variations available.